Given the shock and awe that transpired from the Lehman Brothers collapse, I can only wonder how investors might react to this scenario….hmmm. If this doozy of an outlandish call catches you off guard, please don’t be surprised – Rogers is not shy about sharing additional ones (Read other IC article on Rogers). For example, just six months ago Rogers said the Dow Jones could collapse to 5,000 (currently around 10,472) or skyrocket to 30,000, but “of course it would be in worthless money.” Oddly, the printing presses that Rogers keeps talking about have actually produced deflation (-0.2%) in the most recently reported numbers, not the same 79,600,000,000% inflation from Zimbabwe (Cato Institute), he expects. I suppose Rogers will either point to a data conspiracy, or use the “just you wait” rebuttal. I eagerly await, with bated breath, the ultimate outcome. If the U.S. Federal Reserve system is indeed about to disappear after over nine decades of operations, does that mean Rogers advocates shutting all of the other 166 global reserve banks listed by the Bank for International Settlement? Should the 3 ½ century old Swedish Riksbank (origin in 1668) and the Bank of England (1694) central banks also be terminated? Or does the U.S. Federal Reserve Bank have a monopoly on incompetence and/or corruption? I must admit, I believe we would likely be in a much better situation than we are today if the Federal Reserve board let Adam Smith’s “invisible hand” self adjust short-term interest rates. Rather, we drank from the spiked punch bowls filled with low interest rates for extended periods of time. The Federal Reserve gets too much attention/credit for the impact of its decisions. There is a much larger pool of global investors that are buying/selling Treasury securities daily, across a wide range of maturities along the yield curve. I think these market participants have a much larger impact on prices paid for new capital, relative to the central bank’s decision of cutting or raising the Federal funds rate a ¼ point. Supervise and regulate banking institutions. Maintain stability of the financial system and control systemic risk of financial markets. Act as a liaison with depository institutions, the U.S. government, and foreign institutions. Play a major role in operating the country’s payments system. I will go out on a limb and say these functions play an important role, and the Fed has a good chance of being around for the 2012 London Olympic Games (despite Jimmy Rogers’ prediction). Is inflation a risk? Yes. Will printing excessive money lower the value of our dollar? Yes. Is auditing the Federal Reserve Bank a bad idea? No. My beef with Rogers is merely in the magnitude, bravado, and overconfidence with which he makes these outrageous forecasts. Furthermore, the U.S. actions do not happen in a vacuum. Although everything is not cheery at home, many other international rivals are in worse shape than we are. From a media ratings and entertainment standpoint, Rogers does not disappoint. His amusing and outlandish predictions will keep the public coming back for more. Since according to Rogers, Bernanke will have no job at the Fed in a few years, I look forward to their joint appearance on CNBC. 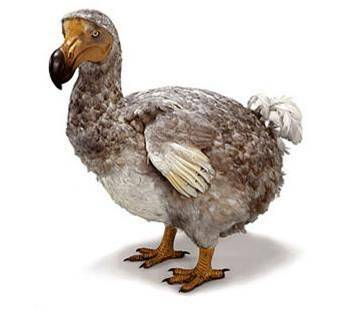 Perhaps they could discuss collaboration on a new book – Extinction: Lessons Learned from the Fed and Dodo Bird. DISCLOSURE: Sidoxia Capital Management (SCM) and some of its clients own certain exchange traded funds (VFH) at the time of publishing, but had no direct ownership in BRKA/B. No information accessed through the Investing Caffeine (IC) website constitutes investment, financial, legal, tax or other advice nor is to be relied on in making an investment or other decision. Please read disclosure language on IC “Contact” page. Entry filed under: economy, Government, Profiles. Tags: Ben Bernanke, central banks, Dodo bird, Federal Reserve, forecasts, interest rates, Jim Rogers, Jimmy Rogers, predictions, Quantum Fund.